Open plan office layouts have become the norm, replacing the ‘closed door’ approach of the past. Open plan layouts offer a number of advantages to the organisations using them. They tend to be brighter and airier, making for a more pleasant working environment. 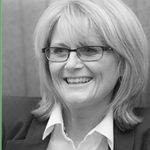 By their very nature they allow easier communication – and so collaboration – between workers. This can help promote a more relaxed ‘my door is always open’ working environment. There can be time and cost saving advantages, too – open plan offices are less expensive to fit out, they are more flexible and can be changed/adapted easily when necessary. This is still an open plan layout, but each worker is provided with a cubicle often divided by a full height screen on three sides. Cubicles offer a degree of privacy, noise control and allow workers to concentrate on their own tasks without being distracted. 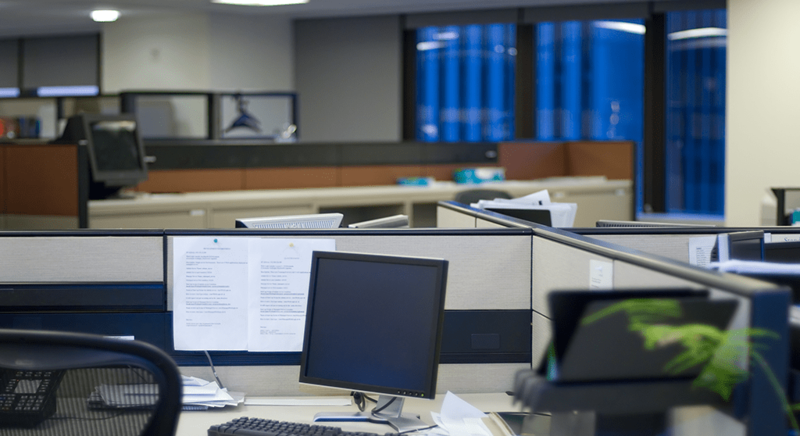 Disadvantages of cubicles are that they often lack natural light. They can be claustrophobic if they are too small, and they can make workers feel isolated. However, some of these problems can be tackled with smart office layout design – for example by using glass panels to bring in light. Half partition office layouts typically use low screens so that in practice workers are screened when they are seated but not screened when they stand. 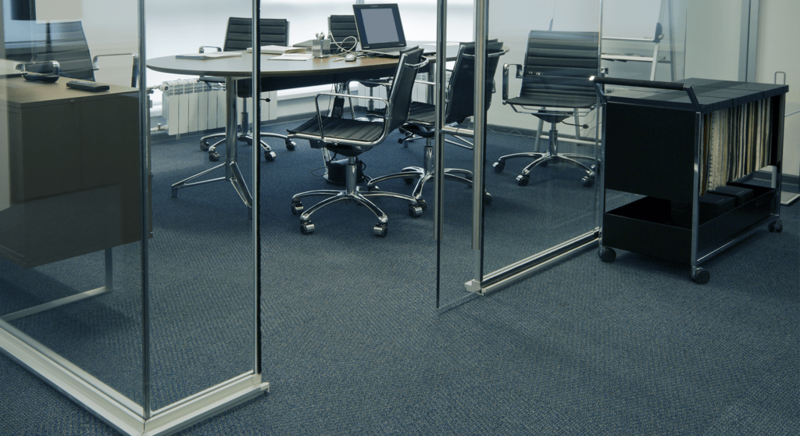 Half partitions provide an airy office environment and allow workers to collaborate whilst still giving each person their own individual space. They do, however, compromise on privacy and noise control. Half partition layouts can be a good compromise between full cubicles and fully open plan so long as other office design tools are used to offset some of their shortcomings. Team enclosure systems normally provide an open plan environment for staff members working on the same team, but screen them from staff working on other teams. As a number of people are essentially sharing the same space there can be some impact on privacy, however they are the ideal solution when it comes to allowing team members to communicate easily and work together. To get the best from this type of layout thought needs to be given to how many people are part of the team, how they work together and how much space they need both individually and collectively – as well as if any fully screened or private areas are needed for discussions or meetings. A space can then be created that positively encourages, and harnesses, team spirit. This is the ultimate open plan layout, where everyone works alongside each other in one big space unhindered by any walls or screens. This kind of layout is easy and economical to set up and helps to develop a team bond by encouraging collaboration. It is usually the layout of choice for modern co-working schemes and companies in the digital and creative industries. 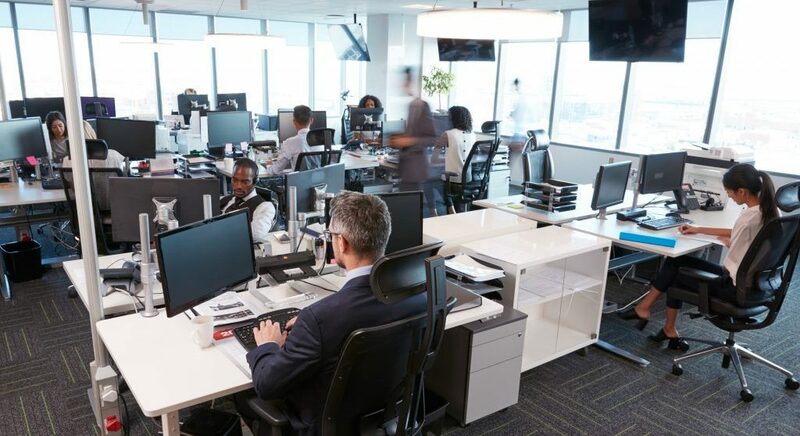 As office technology improves and workers become more mobile thanks to laptops, tablets and smartphones, open plan spaces allow employees to move around and work from different environments and sections. 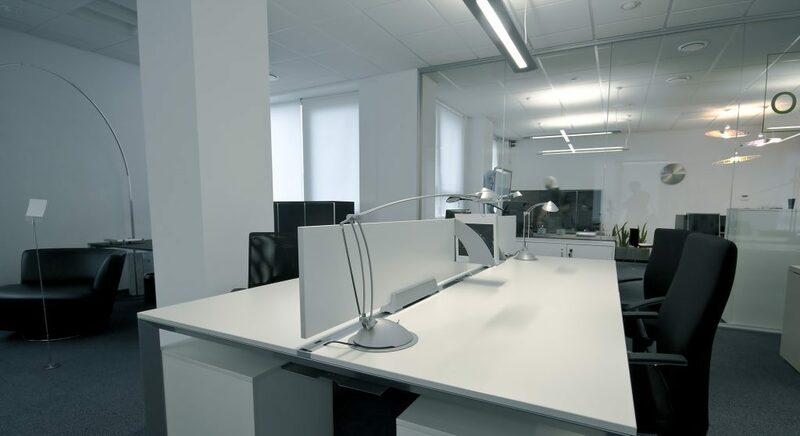 Before opting for a particular kind of open plan office layout carefully consider who works in the space, what they do and how they work together, as well as the different costs involved. Thinking about these factors will allow you to design the optimum open plan office environment for you and your business. To find out more about how we can help re-design your open plan office area, get in touch today.